Primpin’ ain’t easy!Usually we get ready in the bathroom, polish up, scrub up and do our daily bathroom task. Have you ever thought about all the unpleasant stuff that goes on in your bathroom? I know out of sight out of mind, but allow me to fill you in. Maybe you will want to rethink your bathroom behaviors. Every time you flush the toilet an invisible cloud of water droplets form, and travel eight feet into the air. Dispersing bacteria all over your primpin pad! Might want to rethink your toothbrush on the counter, and put the seat down at all times! Not only does that bacteria spread all over, but it also sticks for over two hours. If you’re hanging out in the bathroom after you flush that toilet bacteria is on you, and in your mouth. Pleasant right? Did you know that Loofah’s house bacteria, which can easily infect you via an open cut? 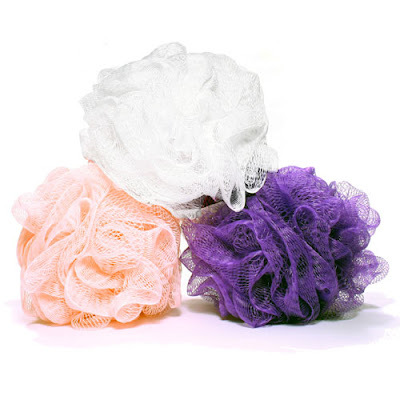 If you have a natural loofah you should be washing it in the dishwasher at least once a week. After a few weeks you need to throw away that loofah and invest in a new one. If you have a plastic or mesh loofah you should also be washing your loofah either in the washing machine or dishwasher once a week. Your loofah is good for around eight to nine weeks. After that you should consider getting a new one! 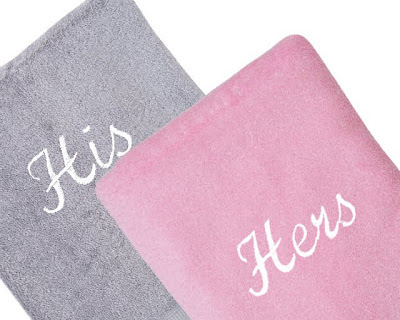 How often do you wash your bathroom towels? Bath towels house tons of bacteria and dead skin cells. Which means you should never use a towel more than once! Feeling a little grossed out? Don't worry I was too when I found out about this. Just make the simple changes for a cleaner bathroom! Ugh...I feel like I live in a pit now! hahaha, did not know all of that information, thanks for the "fun facts" and tips though! I will definitely be making some changes! Hope you had a great weekend and have a wonderful week! thanks for sharing! very nice tips and facts! The toilet seat thing grosses me out! ewwwww hahahaha! My roomie and I keep our bathroom very clean but I guess germs are unavoidable! Yes, you grossed me out! Funny, because Bryan just mentioned to me last night that he was not washing with our loofah again b/c it had been around too long. I'm really grossed out by germs and it had seemed fine to me. Apparently not, though! It's amazing how much bacteria is really all around us. I always close the lid before I flush for just that reason, but it's probably time for me to get a new loofah. Oh man I dont think I've every washed my Loofah and I've had it for at least a year....so gross. Ok, I use my loofah daily and replace like every other month ... and I use the same towel Monday-Saturday. This grosses me out!!! Ick! I just worry about putting the towels in the dirty clothes hamper and creating the possibility of mildew!!! We do some many gross things in our bathrooms yet we spend so much time in there!! I never really thought about needing to disinfect the things I use to clean myself! Ok, ewwwww! I'm adding a new loofah to my grocery list. Yikes, I need to change my loofah more and wash the towels more often. Thanks! throwing out my loofah! ewwwww How did I not realize this?! I've never heard of washing loofahs in the dishwasher. I'm totally going to have to do this. Excellent tips. 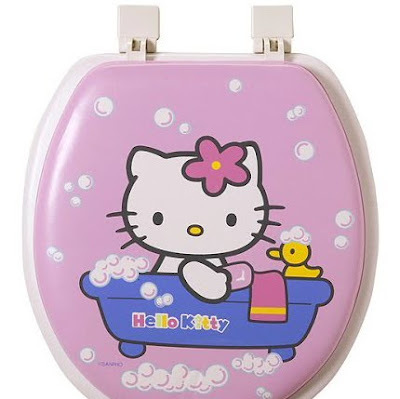 I like your Hello Kitty toilette. 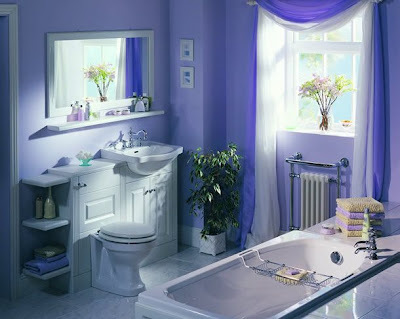 thats such a pretty bathroom, is it yours? it looks like a bed & breakfast, so pretty! I like to think the germs in my parents house kept me healthy in the long run ;). No one in my family is ever ill. Not even a common cold gets us, my dad always says that a common cold has no chance, not when the cat jumps all over the kitchen benches, we eat out of date meat all the time and no one ever puts the toilet seat down. Of course maybe all these germs are just slowly building up and one day I will die a long and painful death after breeding some kind of crazy new mutated disease in the house. Never heard of using the dishwasher for loofahs.... thanks for the tip! !